Oscarbelönade Michel Hazanavicius (The Artist) bjuder på ett färgsprakande och underhållande drama om nya vågen-ikonen tillika kulturmannen Jean-Luc Godard. 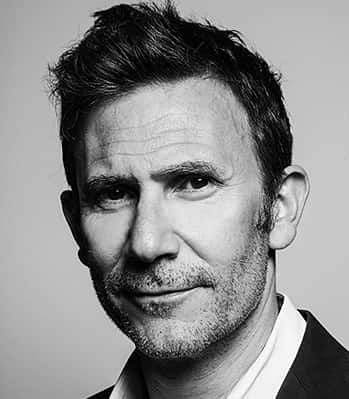 Michel Hazanavicius, born in 1967 in Paris, France, director, producer and screenwriter. Worked in television before directing films. Well-known for his spy movie parodies OSS 117 and the Oscar winning silent movie drama The Artist. Godard is a particularly complex subject. But one of the things that interested me, and helped me to believe that this film was possible, was that Godard, while being a great artist with a difficult reputation – I’m talking about his films, but also about him, as a character – can all the same easily be seen as a pop culture icon. He’s one of the key figures of the sixties, as much as Andy Warhol, Muhammad Ali, Elvis or John Lennon. He belongs to the popular imagination; through him we can approach subjects and themes common to us all. Love, creation, politics, pride, jealousy, etc… He has also never been bland, never tried to be “nice”. This makes him a complex and human character, which allows a great narrative freedom. I’m not condemned to eulogize him, since this isn’t the response he himself tries to elicit. But mostly, and we tend to forget this, his films – and also he himself – could be extremely funny at that time. He knew how to charm and was very witty.